Luxury Firearms – Luxury Firearms, LLC. 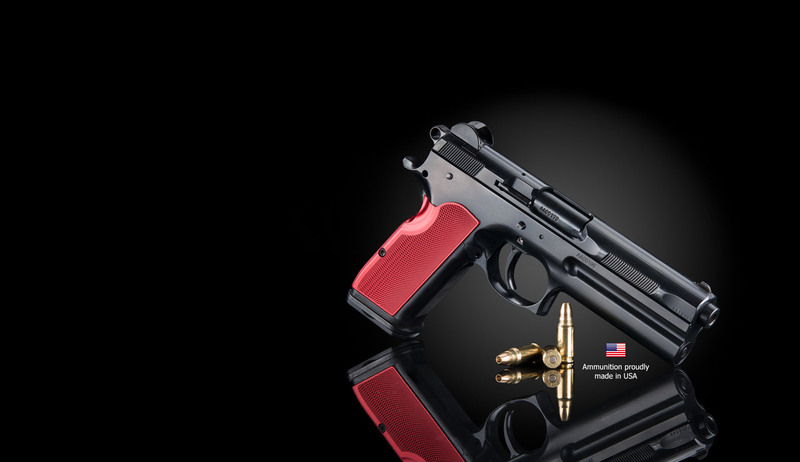 is America's first FK BRNO Premiere Firearm Distributor – It is with great excitement and lengthy anticipation that Luxury Firearms brings the 7.5 FK Field Pistol to America. Luxury Firearms, LLC is America's first FK BRNO Premiere Firearm Distributor and America's ONLY Certified Warranty/Service Center. It is with great excitement and lengthy anticipation that Luxury Firearms brings the 7.5 FK Field Pistol to America. Quantities are very limited as the demand exceeds supply. Be one of the first to experience the world's most revolutionary handguns. "Well worth the buying, don’t regret my decision at all; this is a premium pistol at a premium price. A great value. Racking the pistol feels like the slide is on rollers. The finish is perfect. The aluminum grips are wonderful. The ergonomics are fantastic as we’ve come to expect from Czech pistols. The design is incredible. The controls are very modern and good looking. A lot of thought went into the design. The butterfly site is new and interesting. I think it may become a favorite; definitely an innovation. The ballistics are nothing short of amazing." "I would like to thank you for your outstanding sales support on my purchase of the 7.5 FK BRNO. You were very responsive to all of my questions and concerns prior to purchase. Stacy Hurst proactive in providing product status up rates, price quotes, product availability and upcoming service offerings. Stacy was happy to answer all of my post-sales questions to include serial number information, packing information, available accessories and support. It was a professional experience that I look forward to in the future. I would recommend your products and service. The 7.5 FK was as good as advertised and an outstanding product that I look forward to enjoying for many years." "I have been a serious gun collector and gun enthusiast for the last 40 years, and I can say without any doubt that the new 7.5 FK Field Pistol is THE most valued and fun firearm that I own. It is amazingly easy to shoot, deadly accurate with essentially no recoil. Penetration is outstanding and unbelievable! The pistol itself is a work of art, extremely sleek in lines. The feel of gripping the gun is so very natural and fits my hand positions perfectly. Amazingly, I do not feel the pistol to be heavy, whatsoever, despite 90 minutes of firing at the range. Everyone is amazed and wants to see it and hold it. In short, it’s freaking amazing!!" "This gun lives up to all the hype and then some. To date, I have put about 45 rounds through it without a single failure to feed or eject. It runs smooth as glass and hits like a gorilla. The workmanship, function, and accuracy are second to none. The most surprising thing I found was how little recoil this gun has in firing this 7.5 mm round. This is absolutely a quality piece; when you rack the slide, it moves so smoothly with absolutely no slop or wobble.I am not a pro pistol shooter by far, but at 80-90 yards I can consistently put 7 rounds in a 4" group shooting from a bench rest." "I recently received my FK BRNO from Luxury Firearms and was more than thrilled with both the weapon and the customer service. Actually, as amazing as the weapon was, the customer service exceeded it. Their level of follow up and continued communications even after the sale is unparalleled in excellence. As for the pistol, an enormous WOW is all I and anyone who has seen or shot the pistol has to say. In addition to being an amazing shooter, it is also an amazing head turner. One can’t help but notice this hand cannon when you see it, even mixed amongst other high-end pistols. Luxury Firearms exceeded all my expectations while waiting for the arrival of this gun." Ammunition proudly made in USA. Exclusively Distributed by Luxury Firearms. Sign up to receive the latest news from Luxury Firearms, LLC. Copyright © 2016 Luxury Firearms, LLC | All rights reserved.